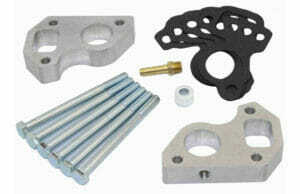 Many accessories you need or might want to use for your LS swap are available on trucks at the junk yard. They are easy to find and reasonably priced. 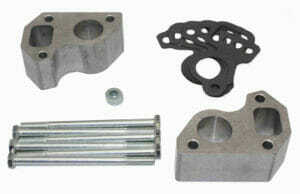 However, you can’t use a car intake manifold with these truck accessories, simply because the truck’s water pump outlet blocks the throttle body when using a car intake manifold. Water pump spacers solve this problem, allowing you to use truck accessories that you already have lying around or that you can easily find at the local junk yard with a Camaro or Corvette water pump. 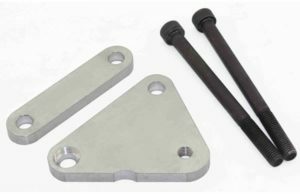 The LS water pump spacers from LSX Innovations will allow you to use a car water pump with the truck accessories, spacing the car water pump out to align with everything else. This is necessary because the car water pump outlet is down and out of the way of the throttle body, and is ¾ – 1 1/2 inches shorter than a truck water pump. 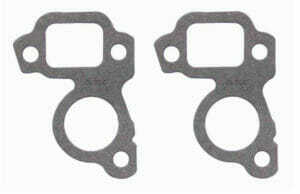 Our LS water pump spacers come in two sizes, providing an option for either water pump you choose. 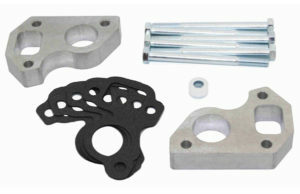 To align properly with truck accessories, Camaro LS1 water pumps will require the ¾ inch spacers and Corvette water pumps will need the 1 1/2 inch spacers.